Chalmer began his professional radio career as a part-time weekend talent at WCQR in Johnson City, TN. From there, he went on to serve as Production Director, Evenings, Assistant Program Director/Music Director, Afternoons, and Program Director. 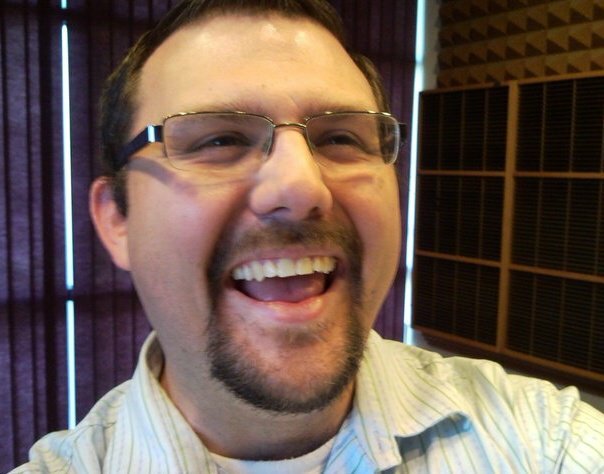 In September of 2008, Chalmer was hired as the Program Director at 88.3 The Wind, Springfield, MO. Chalmer is currently serving as interim station manager for 88.3 The Wind. 1. How has KWND evolved over the last few years? Thanks to having a strong foundation, and an incredible staff that helped put the tough work in so that we would have a opportunity to build 88.3 The Wind. I believe that 88.3 The Wind is no longer just a radio station. I feel that 88.3 The Wind has become a point of connection. An access point for people in the Ozarks to find hope, encouragement, a place to 'rally the troops' to make the community a better place to live, a better place for families, and a place that God uses to meet people in their everyday lives and transform them into God's extraordinary vision for them. 2. Has KWND made any changes due to economic situation, been affected in any way? I think the major thing that we have seen is that we have had to become smarter with our spending. Looking at the bottom line, and just being careful. To be honest, 88.3 The Wind has not seen a misstep in support. We just finished our Fall Sharathon - we met, and even exceeded our goal, thanks to the generosity of our friends in the Ozarks and beyond. 3. How does KWND connect locally with markets? We are finding ways of just getting out in front of our friends locally. We partner with local ministries for almost everything under the sun. Walks, 5ks, Festivals, Film Festivals, mission projects, and offering promotions that our listeners can experience, and talk with their friends about. I wish there were some magic formula for songs - that if they met this certain criteria, they would be on the station - However, it is a combination of laser focus on our target audience, lyrics that are genuine about God, life, relationships, familiarity with an artist, testing, trends, sounds, and even sometimes taking a risk on an artist. It is a great puzzle that I enjoy putting together. Some of the best promotions for Christian radio are the ones that you can (1.) serve your audience (2.) get them passionate enough about action of their own behalf and on yours (3.) that calls them out of themselves and meets a need of the community or a friend. It is an experience like no other. To be honest, I am incredibly grateful for my record company friends. They are patient with me when I can't answer the phone (even during my tracking times.) They ask about my family and tend to put me first. They are always asking 'What can I do for you?' If that phrase continues to make its way into my conversations, then, I am a happy camper. I think the biggest obstacles we face are INDIFFERENCE (about faith, music, and life) and knowing when and how to 'evolve' or move through the sea of trends to find our target audience and best serve them in ways they want to be met. The Primary role of a on-air Personality is to be a great communicator of who they are - a genuine person with faith, feelings, struggles, highs, lows - in order to connect and develop a relationship with others. I see Christian Radio being more instrumental in telling others about the greatest story about the God of the universe who loves them, sharing hope and love, moving people to action in response to what God has done in their life, and sharing story after story after story transformed lives. I can't wait to see how God uses each and every one of our stations in the coming years.